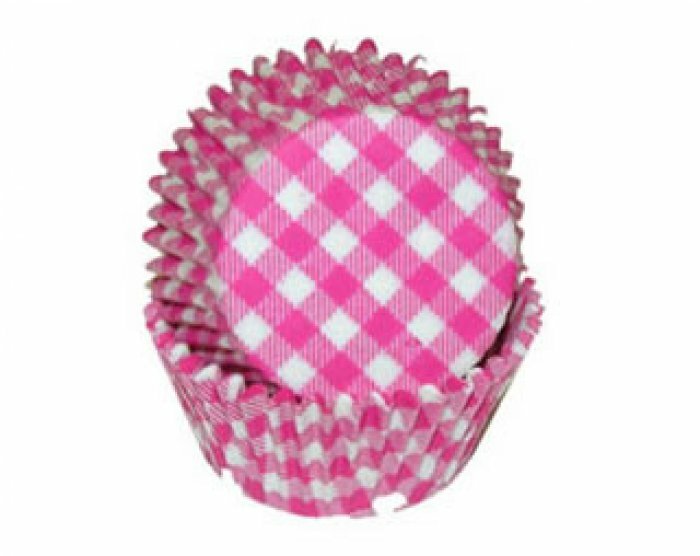 Stunning hot pink gingham cupcake cases in mini bite size. Package of approximately 40. 1.5" base and 1" wall. Made of fine Swedish greaseproof paper.